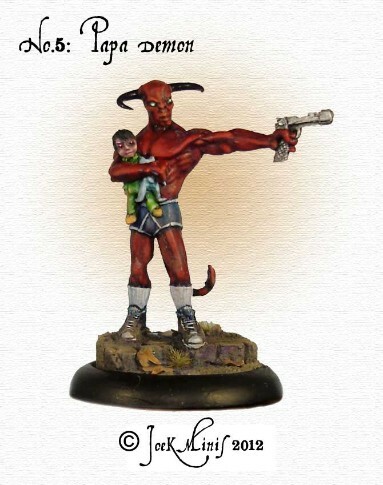 I think the flavour text on the Joek Minis’ Website pretty much sums this guy up: “Whilst I understand that the concept of a demon in pants and sneakers, holding a baby is slightly odd, as soon as I saw the original sketch Pontus did, I was hooked! !” – Just to clarify: It’s a demon…. with a gun…. and a baby… with pants on… and trainers… mwahahahahaha….! !